Find the best way to stay cool and comfortable during the soaring temperatures in the summer without dipping into a huge expense by considering any of these alternatives to central air conditioning. For many of us, staying cool in a climate-controlled home is the best way to survive the sweltering heat in the summer months. According to the U.S. Department of Energy, 85 percent of homes in the South use central air conditioning while it’s 90 percent for new homes today. About three-quarters of all U.S. homes have this type of home heating, ventilation, and air conditioning system or HVAC solution which accounts for about six percent of the nation’s gross electricity produced. While it seems like everyone’s favorite cooling appliance, a central air conditioning is not feasible for all types of homes nor is it ideal for everyone. This system requires setting up ductwork throughout the house to avoid unequal distribution of air leading to hot spots or cold spots. It’s also expensive not just from the initial purchase but throughout the installation, maintenance, and energy consumption. You can still beat the heat even when the central air conditioning isn’t structurally or financially practical in your case. Scroll through the list of alternatives below to find the best way to keep cool when the summer heat hits its peak. One of the most common types of air conditioners on the market is the window air conditioner. These air conditioners are capable of cooling down even large rooms effectively. They are less expensive than central air conditioning units, too. If you want to buy an air conditioner that can cool down your house without forcing you to spend a ton of money, then this will fit the bill. A good window air conditioner can cool down your home effectively. 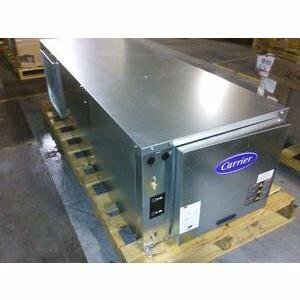 You won’t have to spend quite as much of your hard-earned money as you would if you purchased central air. Installing a window unit is as simple as positioning the air conditioner in the window. You won’t need a professional to put one of these in for you, so that is another cost that you can avoid. A window air conditioner may not be able to cool down your entire home as well as central air conditioning would. This means that you will have to put up with certain parts of your house being less comfortable than others. There are larger window units that can cool down bigger areas, but they still might not work as effectively as central air. There are also portable air conditioning units on the market. 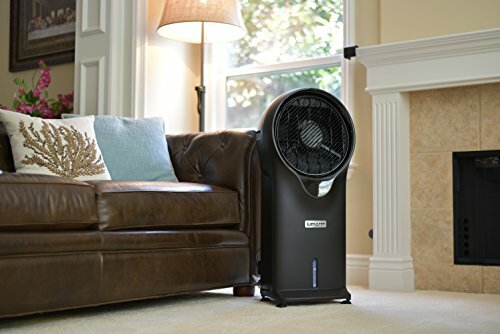 These portable air conditioners can be moved from room to room when necessary. This is convenient when you want to use the air conditioner in your living room during the day but want to have it in your bedroom for the night. These are easy to use, and you simply plug them into the wall. Portable air conditioners are very simple to use. They plug right into a standard electrical outlet. You will generally need to position a tube going out of your window in order to have a place for the condensation to go. Otherwise, this should be a really convenient central air conditioning alternative. Moving an air conditioner to different rooms will be too cumbersome for many people. Also, having to position the tube in the window can be a bit of a pain. There are a lot of people who find purchasing multiple window air conditioners to be a more practical choice than using these portable units. An evaporative air cooler can be an effective central air conditioning alternative if you live in the right type of environment. These cooling devices work by evaporating water and putting moisture into the air. When your humidity levels are less than 50%, this will wind up cooling down your home by quite a bit. You can actually decrease the temperature in your home by ten degrees or more, in some situations. The problem with this method is that it is mostly only good for places that lack humidity. If you live in a dry climate, then this is going to make your home much more comfortable. Those who already live in humid places won’t be able to use these units properly. This could either be a great alternative or something that won’t work very well, depending on your geographic location. A unit like this can wind up cooling your home significantly. These evaporative air coolers are fairly energy-efficient and will cool down your home substantially when used under the right circumstances. The units are also lightweight and fairly portable, making them practical to use in many places. This could work well at home and could also be a good fit for an office. An evaporative air cooler is only going to be effective in places that have a dry climate. This is going to be a tool that is more useful for people who live in places such as Arizona and impractical for those who live in Florida. Make sure that your humidity levels are less than 50% before you decide to make a purchase. Attic fans are another method that people use to help keep their homes cooler. If you install an attic fan properly, then it can actually cool down your home by several degrees. It will be able to push out the hot air that is keeping things uncomfortable in your home. At the same time, it will be allowing a nice breeze into your home. Using an attic fan should be simple, and installation won’t be too cumbersome, either. If you install one of these fans, then you will be able to use the breeze outside to your advantage. It will help to eliminate hot air in your home and will make the environment that much more pleasant. These fans aren’t too expensive, so it should be a practical solution that can fit into most budgets. Installing an attic fan should not be too difficult. You’ll be able to get this fan working in your attic and can then push out the hot air to make your home more comfortable. At the same time, allowing cooler air into your home should cool things down. It’s a simple idea that actually works pretty well. Not everyone has an attic, and even those who do may find that these fans won’t work as well as central air conditioning. You can cool down your home by a few degrees using this method, but in really hot areas, this may not be enough to keep things comfortable. People who live in the hottest areas of North America may find that this method is simply not satisfactory. It can make a difference but it may not be ideal. Most people who don’t have air conditioning will make use of fans throughout their home. Fans are a good way to circulate the air around your house. It can wind up making things more comfortable, and you can position fans strategically. Sometimes people even place fans in front of windows to help bring in a cool breeze. 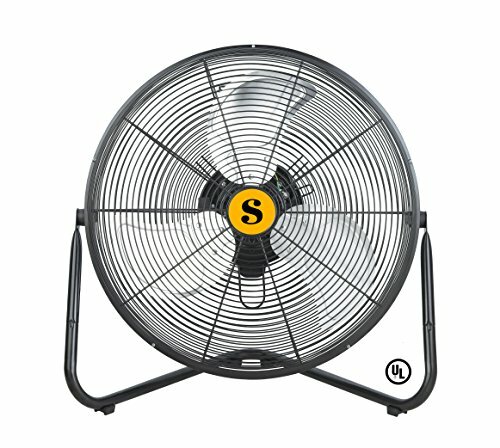 There are many different types of fans on the market. You can purchase standing fans, ceiling fans, and even small fans that will fit on your desktop. All of these should help to keep things more comfortable when the temperatures are hot during the summer months. It feels a lot better to have cool air blowing on you than it does to sit in stagnant heat. Fans are not very expensive and they can help you to stay cool. You can buy multiple fans for the cost of even an inexpensive central air conditioning unit. They will be able to help you stay cooler and can keep you fairly comfortable. If things are really hot in your home, then a fan is going to just be pushing around hot air. It might still feel better than nothing at all, but it isn’t going to be perfect. You may find that fans won’t be able to reduce the temperature in your home effectively enough to make you feel at ease. They may still be useful when combined with other methods, though. It is likely that you have never heard of a geothermal heat pump before. This isn’t a central air conditioning alternative that is widely known in many areas. This unit works to transfer heat into the ground itself. Tubes are buried underneath your property, and they are filled with water. These tubes are used to transfer heat back and forth into your home. Units like this can function as both heating and cooling devices. You will be able to transfer excess heat out of your home to keep things comfortable during the summer months. Geothermal heat pumps are pretty expensive, though. This method actually works really well for cooling down your home. You will be able to cool your environment down very easily if you have one of these installed. It works comparably well to central air conditioning, so it’s a good alternative for you to choose. Buying a geothermal heat pump and having it installed may wind up costing more money than getting a central air conditioning unit. This is not going to be something that most people will choose to do. The amount of money that you have to pay for one of these units is high and professional installation will be costly as well. One of the easiest ways to avoid using central air conditioning is to try to cool your home naturally. Depending on how severe the temperatures are where you live, it might be possible to cool your home with natural air circulation. Simply opening up a few windows can wind up lowering the temperature inside your home by several degrees. This can make things a lot more comfortable and may be enough to get you by. A good method for achieving natural air circulation is to open windows on opposite sides of your house. Get a bit of a breeze coming into the house from both directions. It should work to cool your home significantly. This may not be as effective if you have an incredibly dry heat where you live, but it is worth trying to see how it goes. You don’t have to pay anyone to open up a few windows in your home. If one of the reasons for you looking into central air conditioning alternatives is to save money, then this option is definitely going to be appealing. Depending on where you live, opening a window may be enough to cool down your home to a reasonable temperature. This method for cooling your home may not wind up working for you at all. It is likely that it will lower the temperature somewhat in comparison to doing nothing. Even so, it is probably not going to cool your home enough to make it comfortable during the summer. The effectiveness of this natural air circulation is largely dependent on whether there is a breeze, too.